During October we are promoting ‘Walk To School Month’ at St Osburg’s. 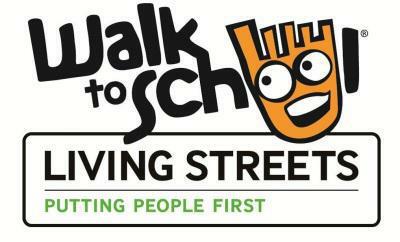 This month-long challenge is a scheme run by Living Streets, the charity behind the national Walk to School campaign, which encourages families to walk to school at least once a week. At the end of the month, children who walked at least once every week will receive a special badge. Even if you live too far away or don’t have time to walk the whole way to school, all children can participate in the challenge by walking at least 5-10 minutes to school. We are asking families to ‘park and stride’ where you can park your car nearby and walk to school from there. Just over half of UK children walk to school, while the number of children being driven to school has doubled in the last 20 years. Our school is taking part because of the many benefits we believe it will bring to our children and the community. 1. Arrive fit, refreshed and ready to learn. 2. Do better in class. 3. Are happier, healthier and more independent.